Skrillex and Rihanna have recently spent some time in the studio together in London, according to R&B artist Blackbear’s Snapchat feed. Last month, Skrillex revealed there’s more collaborations on the horizon with the news he’s set to release fresh material under his Dog Blood alias — his joint DJ/production project with German producer Boys Noize. Skrillex has also been active on Twitter of late, recently kicking off after HARD events boss Gary Richards (aka Destructo) was removed from the Holy Ship 2018 line-up. 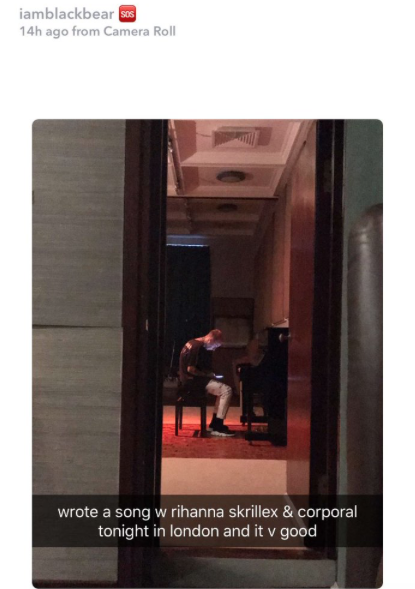 No further information is currently available about Skrillex's Rihanna/Blackbear collaboration — but you can check out the screenshot from Blackbear's Snapchat story below.